Have you voted yet at Botanicality? There’s a lot of amazing entries, so you have to scroll all the way down. I especially like the Kid’s Cactus entry. It’s a Tumblr Spring Botanical Art Show! Win prizes! Click the link already and get started on your way to Tumblr fame and fortune. Toy Obama in a nest says, “Vote.” I’d listen to toy Obama if I were you. And don’t forget to follow him on his blog PASTP. We’ll leave the contest below open for another day. Throw out any guesses you have – there are no wrong answers, only a lack of answers. Or something. I guess there are wrong answers too. But I prefer to think that we’re all winners here. Even Keith who is dying to make a guess. Can you name the cactus from the bloom? How about if I show you the cactus? The blue stems are the giveaway. So ignore that photo. Pretend you never saw it. Focus on the bloom above. Is there a prize for getting it right? Yes! And not just the satisfaction of a job well done. There’s also recognition from your peers. And a Lithops, to be shipped anywhere in the US except Alaska or Hawaii. Sorry for the restrictions. Is there a clue, too? Sure! It’s not hardy in Berkeley. They’re crocheted. The website link is dead so you can’t buy them, so no link just image. On the other hand, maybe by the time you read this they will have paid their internet bill and the website will be back up. You never know on the internets. Shall we have a contest to name the species? You’ll have to ignore the flowers to be able to guess at a name. I’m planning my famous Year-End Best-of 2011 Lists and wanted to open the floor to suggestions. Which Best-ofs should I do this year? Was 2011 particularly good for Euphorbias? Crassulas? Bamboos? Today there was a rabbit talking to a cactus. I wonder what the cactus responded with? Caption Contest! I didn’t say they had to be funny. Euphorbia “Ascot Rainbow” is one of the Euphorbia x martinii hybrids, and a patented one at that (PP21401). I don’t know how this one got past Hap since he doesn’t like for us to carry the variegated spurges. I also don’t know what the name “Ascot Rainbow” means. I don’t see any ascots here, and I don’t see no stinkin’ rainbow. Personally, I would like to call this one, “Prim Morning” but then I’m an idiot. Sounds like a contest time! Best new name for this patented variegated spurge wins something! If you’re local, a really nice water wand. If you’re not local, how about a box of biodegradeable kitchen bags? Or if you prefer, a Cactus Pup. More info about it if you care to keep digging before coming up with a better name. 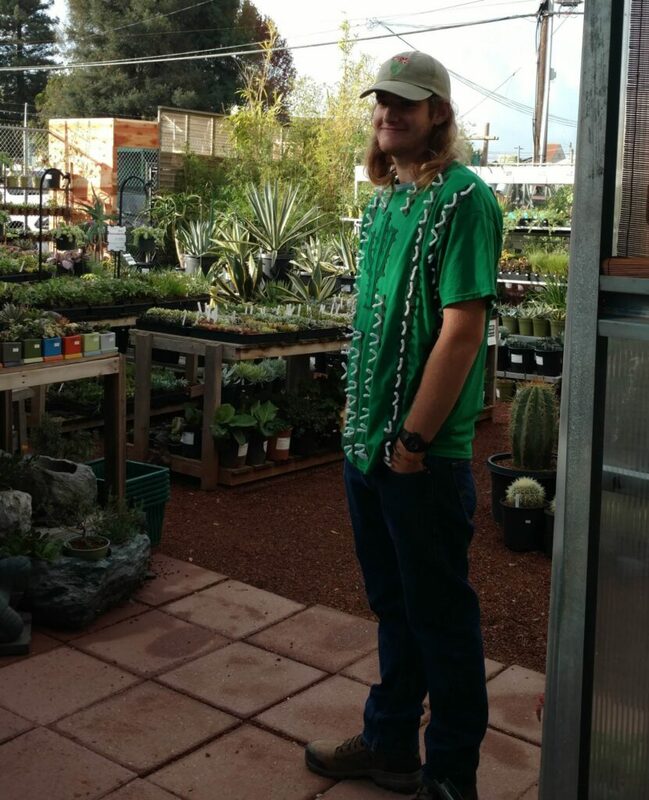 JM Succulents has found, or possibly made, a Crassula Christmas Tree. For some reason. And there are flocked berries on top too. I do not approve. On the other hand, if you make one yourself, send me a photo and I’ll post it here on the blog. And if you can prove you actually made it, out of any succulents, I’ll send along to you a free water wand. Really. I will. I promise. This isn’t even a contest – just a challenge. Now, do we think he’s going to pick a birdfeeder or a water wand for his prize? Our contest to help answer the question about a cute little aloe is ending today, so here’s your last chance to be brilliant in public on someone else’s blog! This may be one of the prizes – you never know! No, it’s not the prize. But wouldn’t that be exciting! I figure you all know these plants by now, and have read my answers to similar questions mamamamannnnny times before, so maybe you could handle this one for me? Best answer, that is also complete and accurate, will win one of our discontinued products. You never know what it will be, but it must be good! So here’s the question and the pictures that go with it. Recently I got a cactus as a present but don’t know what kind it is. Could you please help me to detect what kind a cactus it is and to see and tell me weather is it sick (you can see that one leaf Is kind a sick) and what should I do. Leave your answer for Petar in the comments between now and Tuesday afternoon, and I’ll pick a winner then. Maybe I’ll have arranged for guest judges too! Well, probably not. And Tom J in Denver is the winner. People found way more errors in that tiny article than even I had imagined. Wow! And that had come from the BBC, no less. It’s a contest! But first, an article for you to read. Usually these are just local stories in local papers around the world. But apparently this one made the BBC. An Agave Victorinae Reginae cactus has flowered in a UK garden after 50 years of growth. The plant, which belongs to Barbara and John Long, recently grew to more than nine ft… according to the BBC. I don’t know if the errors are the BBC’s or the local newspaper’s. Shall we catalog? I count 4 major errors in this excerpt alone. Add your guesses to the comments. One lucky winner correctly naming a botanical error, chosen at random, will win a free cactus greeting card from my collection of cactus greeting cards. 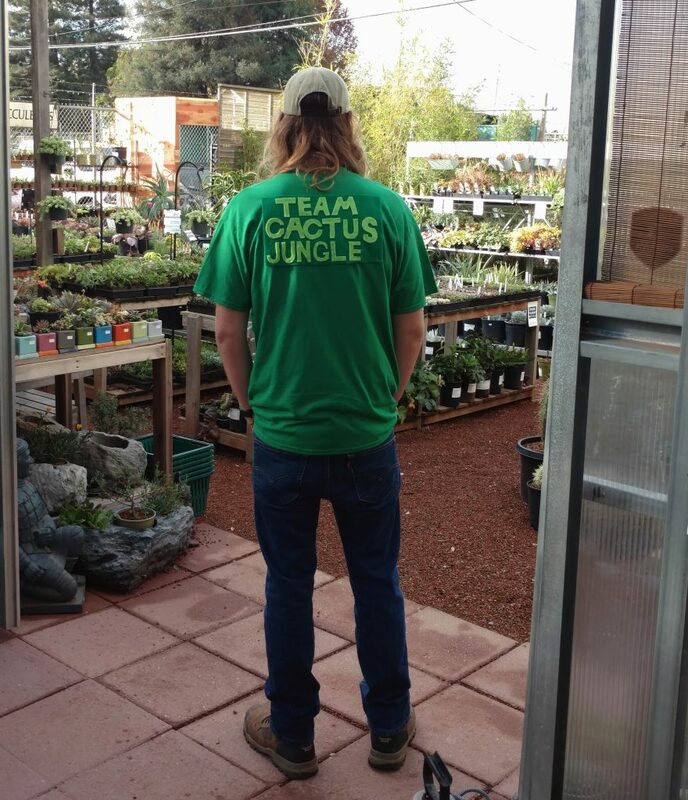 Cactus Jungle employees not eligible, Keith. First person to tell me what this is in comments wins a $10 gift card. CJ Employees not included, Ian.